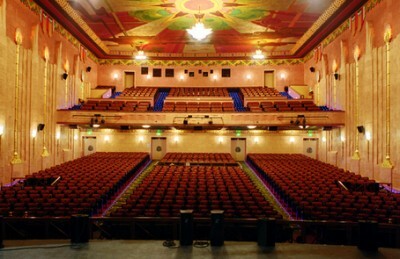 The historic Fox Theatre opened on December 25, 1929. 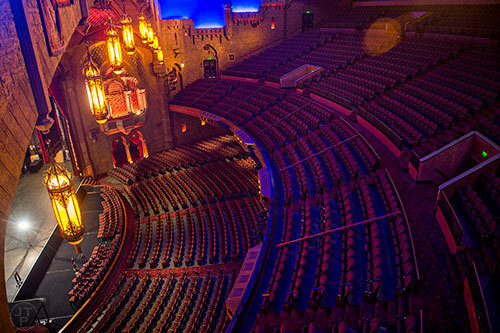 Atlanta’s premiere venues for live entertainment. 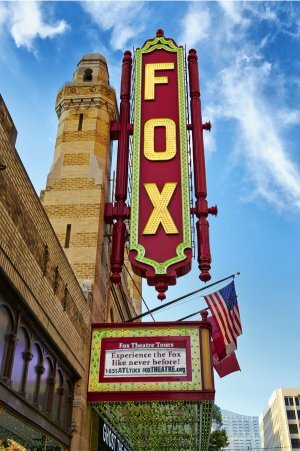 The Fox was ranked #2 in the Top 100 Theatre Venues Worldwide for 2015 and is booked for more than 200 performances a year, ranging from Broadway to rock to comedy to movies to family entertainment. The 4,665 seat auditorium replicates an Arabian courtyard, complete with a brilliant blue sky with 96 flickering stars and magical clouds. The Fox also features two ballrooms, the lavish Egyptian Ballroom and the more intimate Grand Salon, with an outdoor rooftop terrace overlooking bustling Midtown Atlanta. 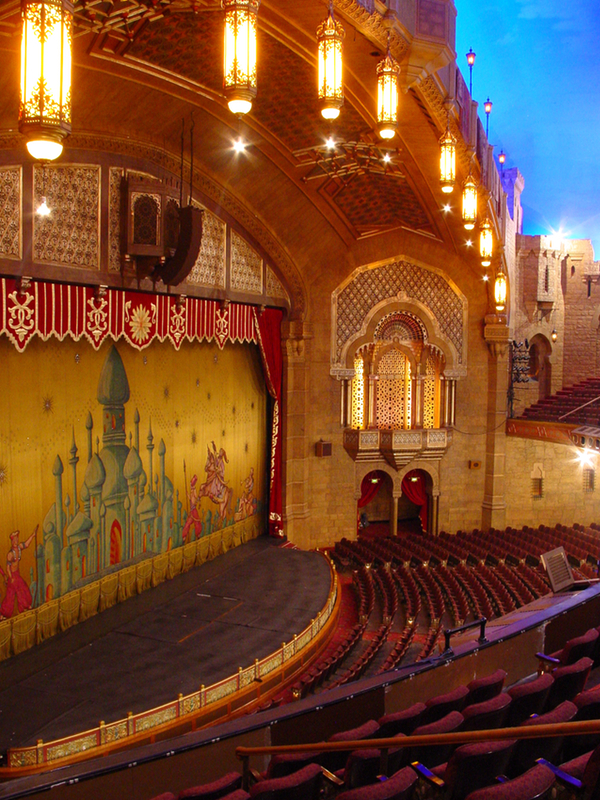 Photo: Jonathan Phillips A view from above the main stage at the Fox Theatre in Atlanta on Monday, June 22, 2015.